Pictured Albert has what it takes and is hungrier than ever to make an overdue podium return. Albert has what it takes and is hungrier than ever to make an overdue podium return. 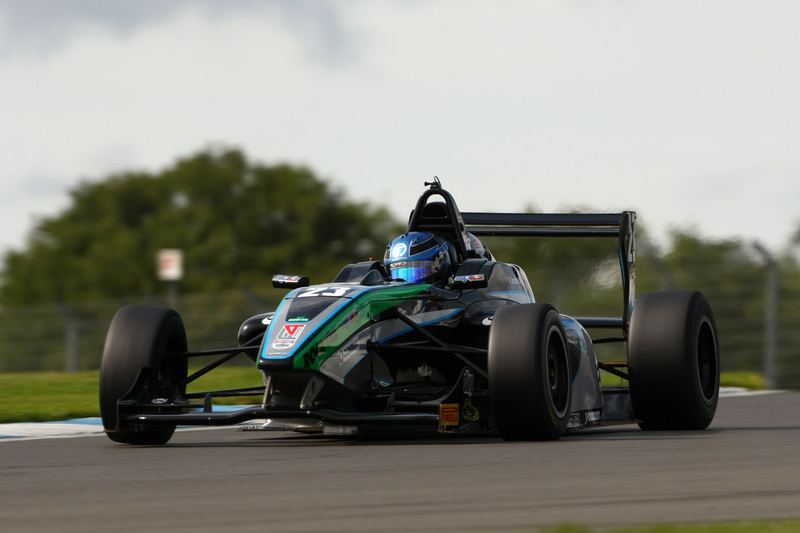 Race winner Jordan Albert and podium finishing SWR team-mate Zubair Hoque head into the final event of the Duo BRDC Formula 4 Championship next weekend, 26th/27th September, focused on delivering a successful and competitive conclusion to an, at times, frustrating season. With just three races remaining at Brands Hatch Indy Circuit a week from now, Albert will be aiming for a return to the top step of the podium for the Chipping Norton team before the championship’s end with a desire to move up from his current position of sixth in the driver standings. 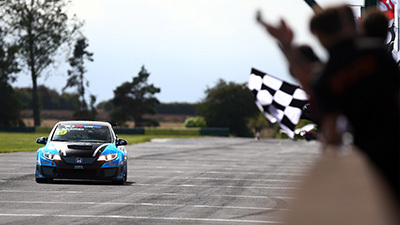 With a total of 90 points available to any one competitor during the season finale, Albert can mathematically end the campaign inside the coveted championship top three and although the challenge is a very tall order, he’s already proven his winning credentials this year. 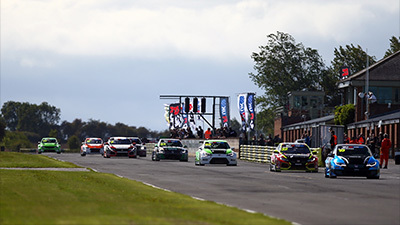 Having taken two victories up to now, the Silverstone-based driver certainly has what it takes and is hungrier than ever to make an overdue podium return – especially after an unfortunate time penalty cost Albert an all-but guaranteed runner-up spot last Sunday at Donington Park. One of the chief aims for SWR next weekend is to end the campaign, the last with the current MSV F4-013 car, with both drivers in the coveted series top 10 and Cheshire racer Hoque will begin the Brands Hatch finale just eight points shy of 10th position. Currently 13th in the standings, Hoque is locked in a very tight battle with at least half a dozen other drivers and less than 20 points separate 10th to 14th in the championship. 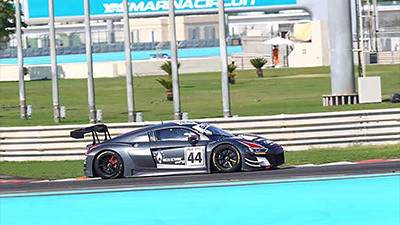 Returning to a circuit he has experience of too, the SWR racer will be looking to post three consistently strong finishes. 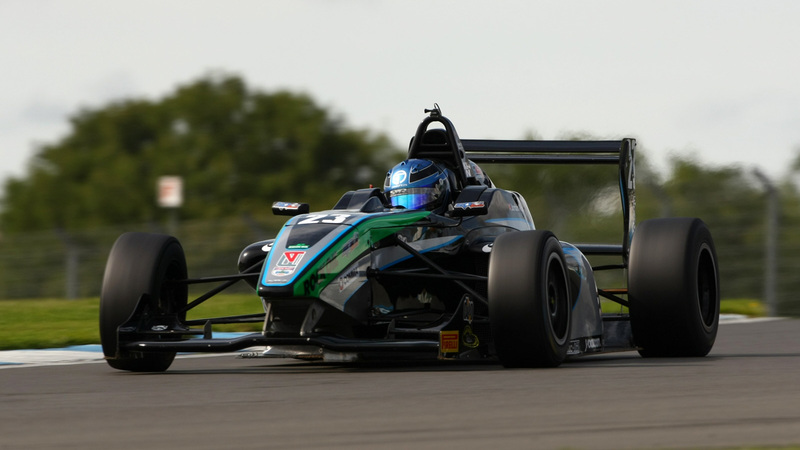 After securing a superb maiden BRDC F4 podium at Rockingham in early May, Hoque has endured some misfortune during recent events but has still managed to keep himself in the fight for the top 10 in the points table in his first full season in cars. 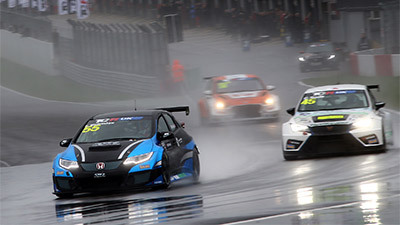 “We’re really aiming to finish the championship on a bit of a high at Brands, the last couple of rounds didn’t go to plan so the whole team is hungry to get back to where we should be on the final weekend”, said SWR team owner Sean Walkinshaw, “Jordan was very unlucky with the false start penalty at Donington, he deserves to be back on the podium at Brands and we know he can be. Qualifying at Brands Hatch Indy Circuit is scheduled to get underway at 11.05 on Saturday, 26th September, with round 22 following at 15.55. On Sunday, 27th September, round 23 will start at 11.20 while round 24, the last race of the season, will begin at 15.45.